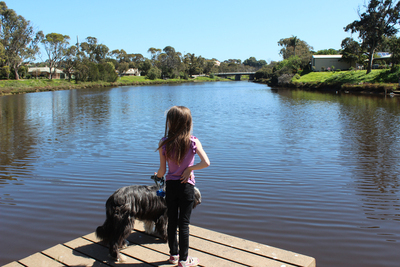 Old Noarlunga still has the charm of a country town while being firmly placed in the suburbs. Market Square Park is a great big park perfect for family occasions; it's easy to forget you're so nearby to plenty of new housing developments. 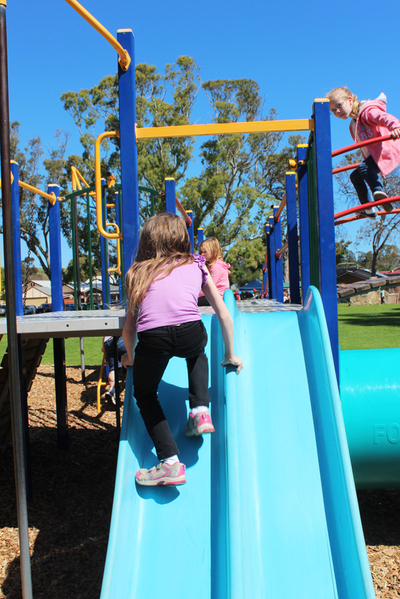 The playground isn't the newest or most imaginative playground around. 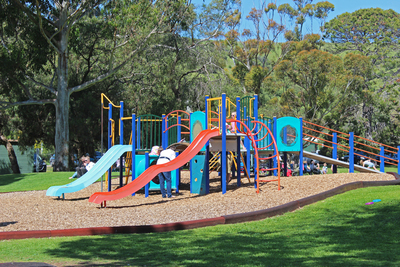 It's got a lot to entertain younger kids; there are multiple slides, things to climb, and of course the obligatory swing set. The 9-year-old and 12-year-old placed it firmly in the kiddy-playground category. There weren't enough obstacles or high things to climb that would normally keep them interested. 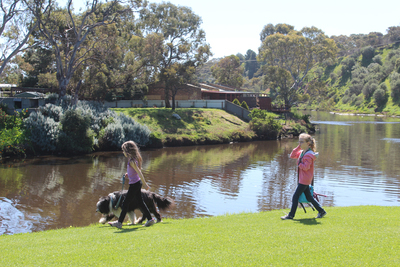 Their favourite part was walking along the river. 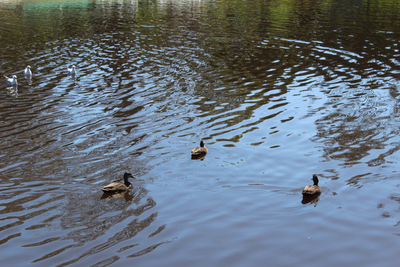 There are some lovely views, and you'll get to see ducks and sometimes pelicans. There was unfortunately no boardwalk--it had been pulled up--but they could still walk along the banks. It really was an idyllic setting. If you've got younger kids you'll want to keep a good eye on them, as there's no real barrier between the park and the river. 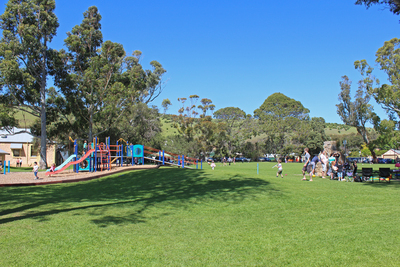 Market Square Park is the perfect location for family picnics or gatherings or parties. There aren't a lot of shaded areas, but there's a lot of space and you'll find multiple barbecues. On a nice day you'll always find someone having a kick of the footy, but there's so much space so you'll always be able to find your own spot. Market Square Park is a great place to visit and you'll have a chance to relax while the kids play. While you're there take the time to explore a little more of Old Noarlunga.